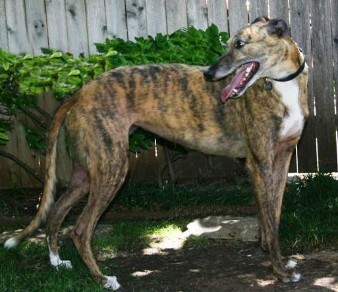 Treycee (JT Catch Trey) now Tikva - ADOPTED! 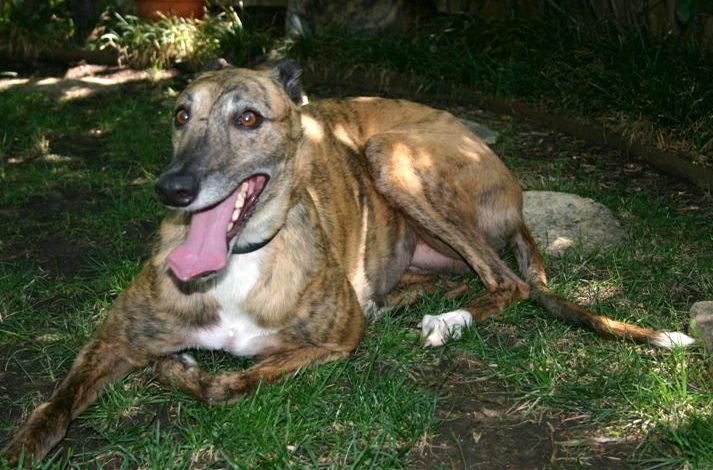 History: Treycee ran 49 races according to Greyhound-Data, but she has been a retired lady of leisure for sometime. Although living on a farm, she has also lived in the house. Trey enjoys her quiet time but is making herself right at home in her foster home. The Rose family and new family member Treycee (now Tikva). 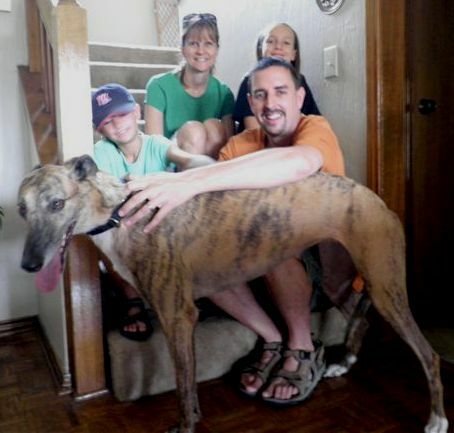 June 25, 2011 update: Adopted! Now named Tikva! Pronounced Teek-va), meaning "Hope" in Hebrew.